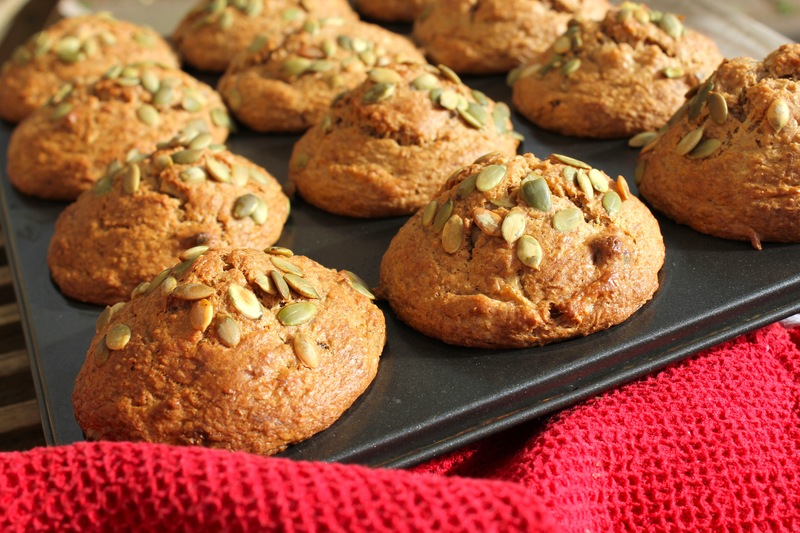 Banana Bran Muffins – both healthy and tasty… | Hey Bernice! Don’t you just love a good muffin (especially warm, straight from the oven)? Have you noticed that the definition of a muffin has changed somewhat? Firstly, most of the muffins you can buy in a café are HUGE! A meal for 2 people. Secondly they are no longer healthy. They’re cake mixture in disguise within a muffin paper – not to mention the white chocolate chunks added, or the cream cheese icing! I have just finished baking some banana bran muffins that fit the definition of healthy. 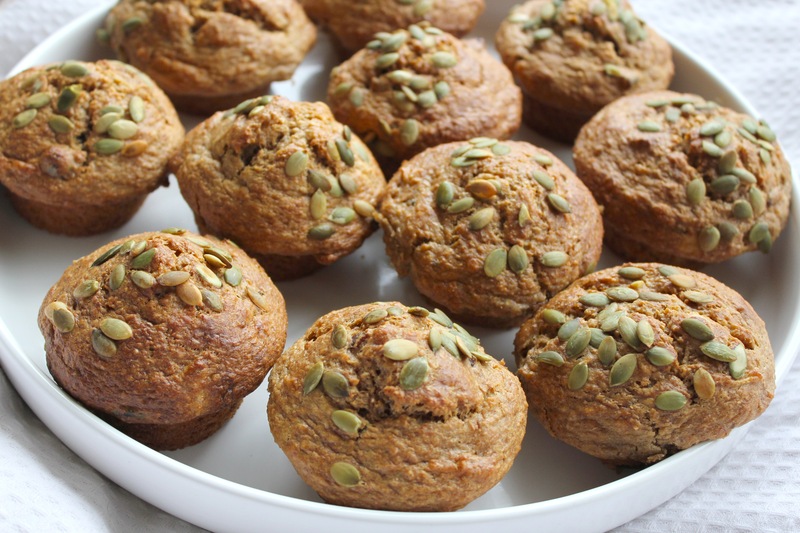 I ate these muffins as a snack when I was a 14-year-old trying to lose weight (eating these as a snack helped me lose 20kg over 5 months!). More recently I take these to work for a snack. The recipe is one of Mum’s (yes, there is a pattern developing here – my mum is a wonderful cook, and I will be sharing many more of my favourite ‘Mum’ recipes within this blog). 125g dates chopped (16 dates). A great way to chop dates is using scissors! Combine all the dry ingredients in a large bowl (sieve the flour). Add all the other ingredients (except the bananas and grated apple) and mix well. Leave mixture overnight in the fridge to soften the bran flakes (makes a lighter muffin). The next day, add the mashed banana and grated apple and mix well. Grease a muffin tin, or use paper liners in the muffin tin (this saves having to clean the tin afterwards!). Cook for 20 minute (or until golden brown) in a 180° oven. Note: Mum adds walnuts, and I have added sunflower seeds or pepitas to mine, adding some extra goodness to them. Be creative and add your own nuts and seeds! These muffins freeze really well, and can then be placed in the microwave and heated prior to eating. They are best served warm. I forgot to add them into my hand written version at home (because I knew they are in the recipe when mum was dictating it to me over the phone) and was re-typing from that copy. And double apologies to anyone who actually did make banana bran muffins without the bananas (I have actually done that before by mistake – they taste like a healthy version of a sticky date pudding) because you did what any good baker does, and followed the recipe exactly – there is nothing to be ashamed of! And thanks to my wonderful sister in law, and dedicated reader (and baker), who actually checked the recipe with me before she baked, and highlighted my oversight! I will most def be trying these, in fact great one for kids to cook with the nanny tomorrow whilst on school hols. Thanks! Pingback: Homemade Sausage rolls « Hey Bernice!